Home / festival / music / news / odyssey singapore / updates / water park / Singapore’s Odyssey announces new venue and more performers! Singapore’s Odyssey announces new venue and more performers! 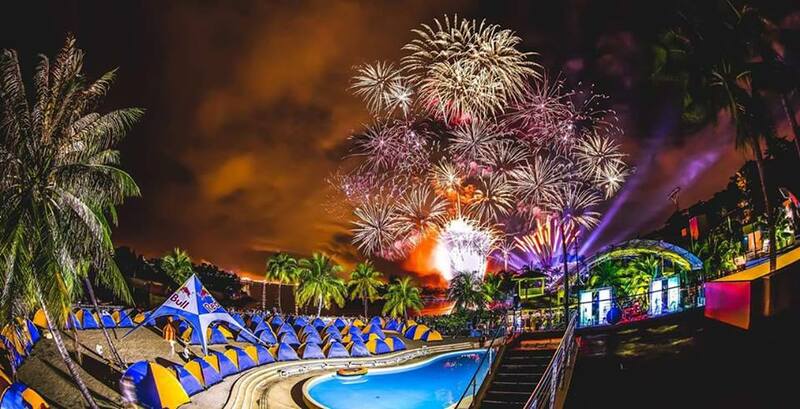 Singapore’s inaugural waterpark festival Odyssey, is set to make its debut this 14 October 2017, but several changes has been made before the festival takes place. One of the changes is a new location has been announced for the festival. 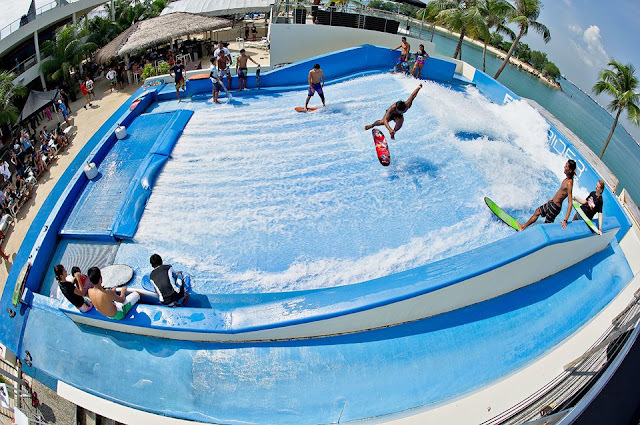 Instead of having it at Wild Wild Wet waterpark at Downtown East, the organisers have decided to move the festival to a more centralised brand new venue, and that would be Wave House Sentosa. Wave House Sentosa is the place to experience the Californian beach lifestyle with high-adrenaline flowboarding, featuring the world famous Double FlowRider and 10-foot FlowBarrel wave rides. According to Bandwagon Asia, the reason behind the venue change is due to Downtown East being relatively too far away for many festival-goers, which is why Wave House Sentosa would be the more ideal location to host the festival. “We truly appreciate your support and apologise for any inconvenience caused. The team is working harder than ever to ensure a great music festival experience for everyone, and we look forward to seeing you on October 14!” reads a statement post by Odyssey team. 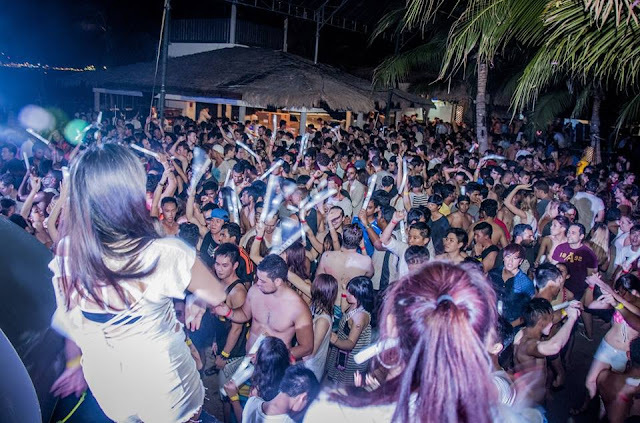 Another change to the festival is the music line-up, EDM duo Rave Republic has dropped out of the line-up due to scheduling conflicts, but the previously announced UK DJ duo Eli & Fur, Singapore’s feisty EDM star Electrokat and singer Jasmine Sokko will still perform as scheduled. More acts have also been announced alongside the changes, and they include Booka Shade, The Magician, Stwo, Fyan H x Vanan M, and Inquisitive. Tickets are now priced at SGD78.40 after a 20 per cent discount to appease anyone inconvenienced by the changes, and a special 4-ticket bundle deal is also available at SGD298. All tickets include a free drink per person, and a further 20 per cent discount for individual tickets can be claimed with the promocode "WAVEHOUSE". 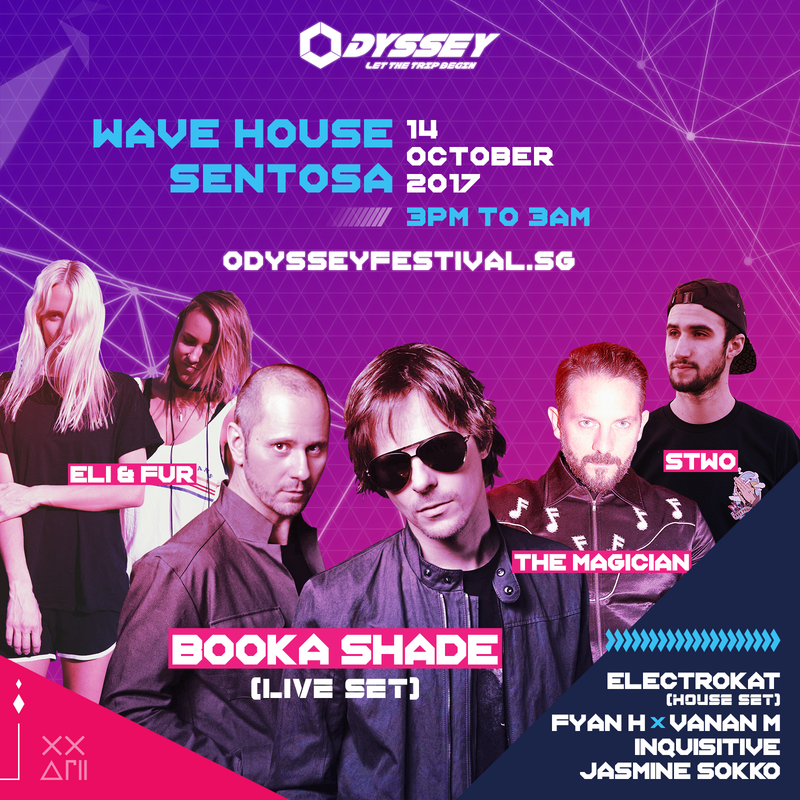 Odyssey is set to bring music waves at Wave House Sentosa on 14 October, from 3pm to 3am. Tickets are available via odysseyfestival.sg.